Just as Americans kicked off the long Labor Day weekend, a little-known federal agency took a bold step to hold the banking industry -- including individual executives -- accountable for the mortgage meltdown still plaguing the nation's ailing economy. The lawsuit against JP Morgan, for example, names 38 individual defendants. Twelve execs are named in the Bank of America suit, while seven merit a mention in the Morgan Stanley filing. 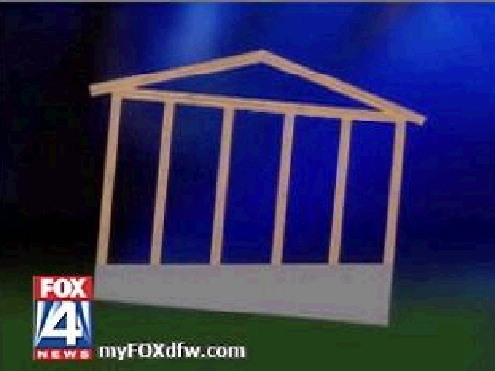 The lawsuits allege that these individuals, most of whom are not well-known but still work in this highly paid industry, signed off or were responsible for providing misleading information... FHFA's gutsy move won't help homeowners with underwater mortgages who are still being jerked around by the banking industry. Nor does it hold accountable the Fannie and Freddie executives whose ruinous leadership -- including Minnesota native and Democratic political operative James Johnson -- led to a massive taxpayer bailout. Just as Americans kicked off the long Labor Day weekend, a little-known federal agency took a bold step to hold the banking industry -- including individual executives -- accountable for the mortgage meltdown still plaguing the nation's ailing economy. On Sept. 2, the Federal Housing Finance Agency (FHFA) filed lawsuits against 17 of the nation's most influential banks -- including Goldman Sachs, Bank of America and Morgan Stanley. FHFA, which is the conservator for Fannie Mae and Freddie Mac, seeks to recover losses the two giant, taxpayer-backed housing enterprises sustained on nearly $200 billion of soured mortgage securities. The agency alleges that the big banks misrepresented or omitted key information about the bundled mortgages' quality -- for example, stated underwriting standards were not followed -- that Fannie and Freddie bought as investments. The agency took similar action in July against another banking giant, UBS. Three years after the mortgage meltdown tanked the global economy, these aggressive and well-documented lawsuits comprise one of the most ambitious efforts to date to hold the industry accountable and scrutinize in greater detail what went wrong -- something that is still sorely needed. FHFA's effort is a milestone, but the lawsuits' filing before the holiday meant it hasn't received the attention it deserves. This is groundbreaking litigation not only in scope but because it names individual banking executives, something previous federal probes have generally been reluctant to do. Reuters writer Jonathan Stempel pointed out that detail in a smart analysis that shouldn't only be a business-insider read. The lawsuit against JP Morgan, for example, names 38 individual defendants. Twelve execs are named in the Bank of America suit, while seven merit a mention in the Morgan Stanley filing. The lawsuits allege that these individuals, most of whom are not well-known but still work in this highly paid industry, signed off or were responsible for providing misleading information. FHFA's gutsy move won't help homeowners with underwater mortgages who are still being jerked around by the banking industry. Nor does it hold accountable the Fannie and Freddie executives whose ruinous leadership -- including Minnesota native and Democratic political operative James Johnson -- led to a massive taxpayer bailout. 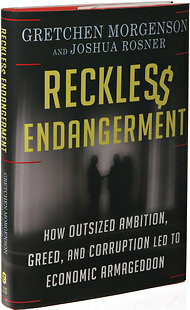 New York Times reporter Gretchen Morgenson's recent book, "Reckless Endangerment,'' offers a damning account of Johnson's time at Fannie Mae. Still, it's long past time for a federal agency to publicly get at who knew what and when. While its actions are civil, not criminal, naming names is a potent deterrent against future misconduct. The lawsuits could also drum up evidence for other probes. Some banks and industry insiders warn that FHFA's action will imperil the financial industry and, therefore, the broader economy. By that logic, everybody who had their hands in the mortgage mess should get a pass. That may fly on Wall Street, but we Main Streeters see right through this self-interested response. Those who broke that trust should be held accountable. The FHFA lawsuits are a timely effort to make that happen. I have complained to them so many times how to track my iphone and i am fed up with these people. Now i want my money back and the compensation.